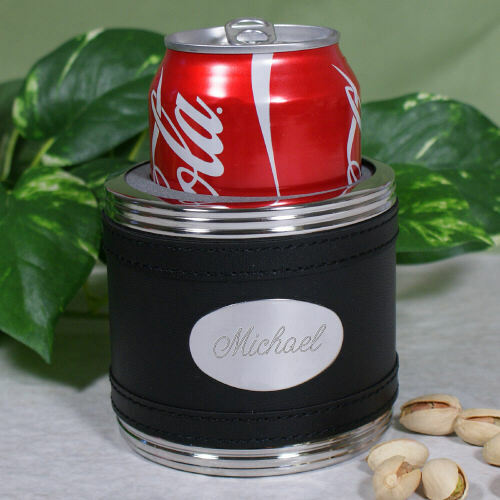 Keep your drinks cold and looking stylish with this personalized can cooler, which will be beautifully engraved with any name (up to 16 letters) or initials. Our black leather holder measures 3" in height and features a gray foam hugger. Makes a great gift for groomsmen, business associates and you! Very nice engraving Will be nice to give as a Christmas present. It was a nice gift for someone else. I like how it was able to be personalized with a name.